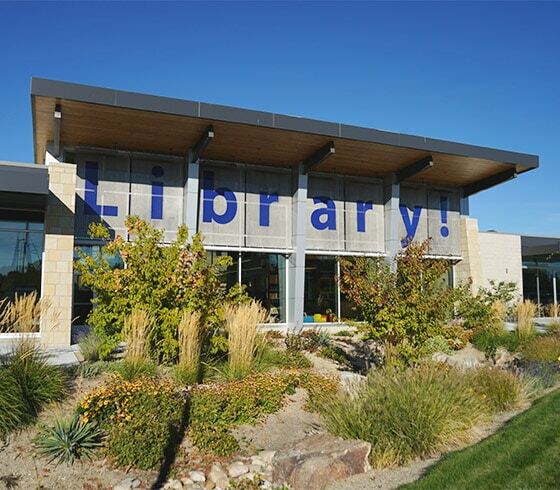 Jensen Belts Associates were the lead Landscape Architectural Consultants on Boise’s east side Library in Bown Crossing. 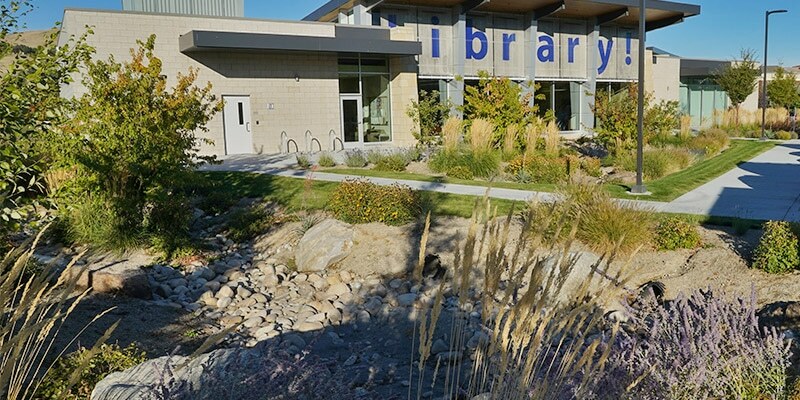 The approximately 3-acre site contains the 16,000 sf Library and sustainable site which has been LEED v4 Silver certified. 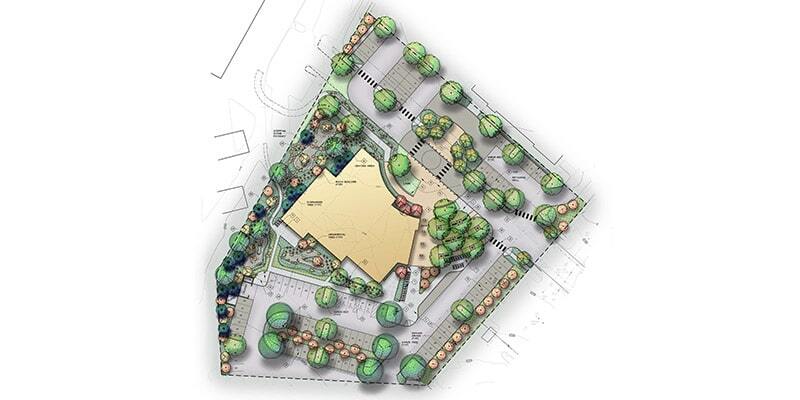 44 percent of the site is open space with 60 percent of that open space vegetated with water-wise plant material. 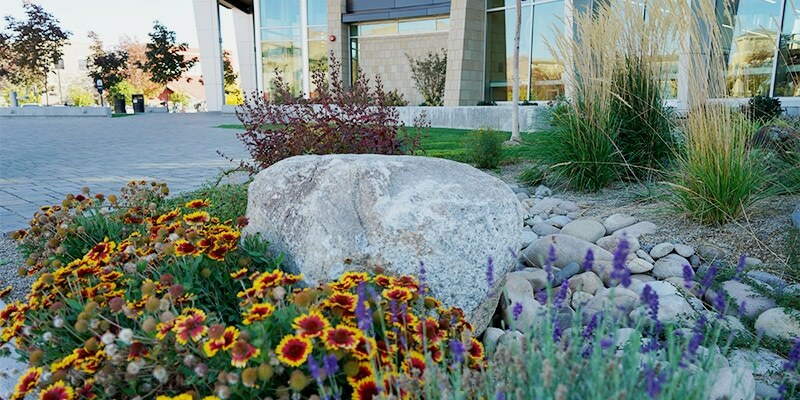 The landscape stylishly incorporates the on-site bio-swale drainage areas with boulder outcroppings and xeric planting. 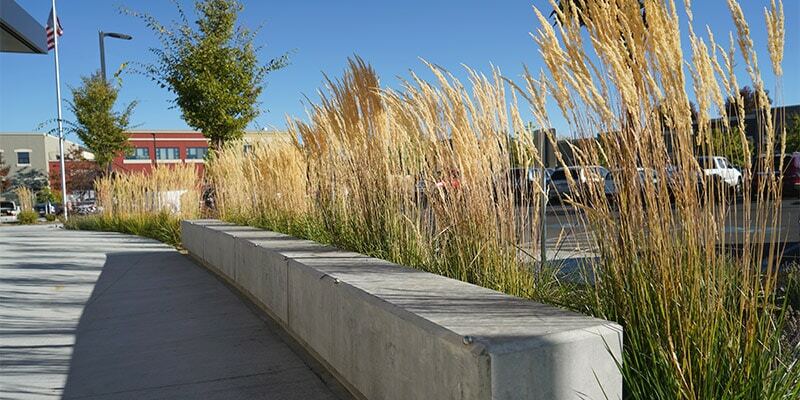 Multi-functional outdoor plaza spaces feature concrete seatwalls, permeable pavers, and plaza trees in grates for afternoon shade. 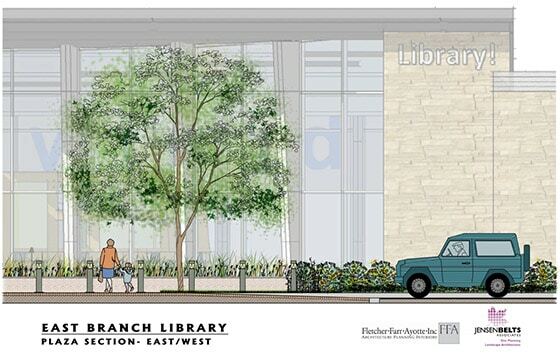 The site is focused of the connection to the surrounding neighborhoods and the close proximity to the greenbelt, featuring secure bike parking for up to 68 bicycles and 18 scooters. 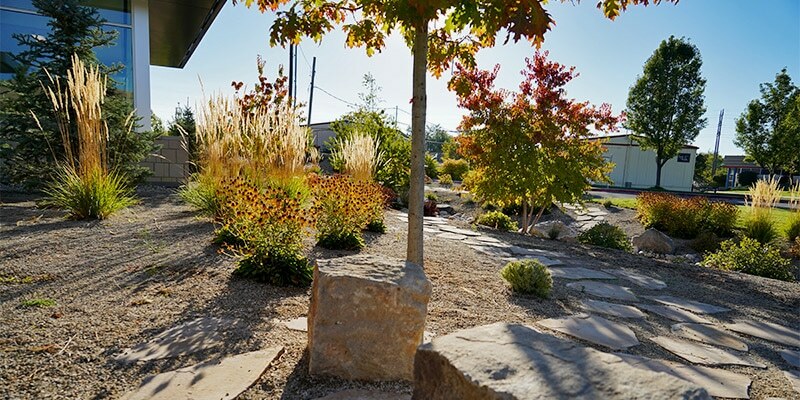 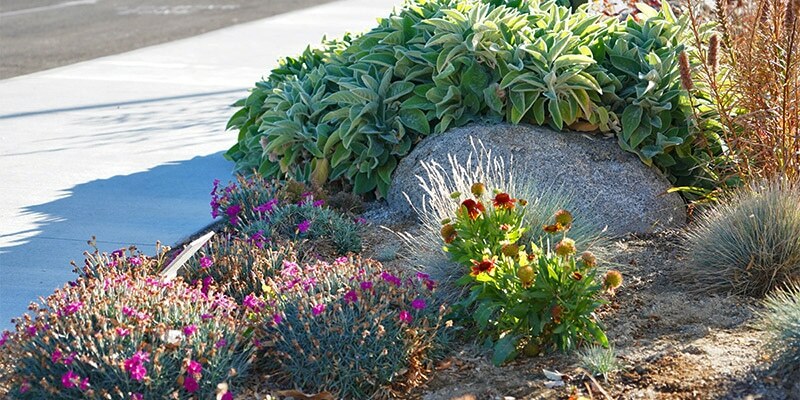 Jensen Belts Associates worked in closely with Boise’s domestic water provider, SUEZ, to create a Water-Efficient Demonstration Garden highlighting low-water native and adaptive plants that thrive in Boise’s high desert climate.